Choosing your best pair of cleats from a wide range of cleats available in the market has never been so easy! You have to find out the best soccer cleats based on your requirements as you will play the game on your own way. So forget about someone else’s choice. Only focus on your choice. To help you choosing your best pair of soccer cleats, we have found out the 5 best soccer cleats from thousands out there. There is an adage: “Old is GOLD”. This adage best fits with the history of legendary Copa Mundial Cleats, the “Adidas Copa Mundial Cleats”. This soccer cleats came in the market back in 1979 and still holding the image as it was in 1979. And not to mention it is one of the top selling soccer cleats in the market! This soccer cleats is undeniably the most popular soccer cleats from Adidas and one of the best soccer cleats in the history of soccer. It has been almost four decades, but this makes the same appeal today to the users of soccer shoe. So if you are looking for a pair of cleats that will give you ultimate satisfaction with durability, then you must consider the “GOLD” Adidas Copa Mundial Cleats. This soccer boot is made for the ultimate champions as the champions are always comfortable in any playing conditions. This Copa Mundial Cleats withstands in all weather conditions whether in snow, blistering heat in the desert, rainstorms, mud everything. There are some unique features that make it different from other soccer cleats. Copa Mundial Cleats has a rich leather upper which is made from silky smooth Kangaroo Leather that ensures superior durability and provides a glove-like fit. This boot delivers a soft touch on the ball and a snug fit as the leather will mold to your foot. The EVA insole gives maximum comfort and padding. The soccer boots are known to be almost game ready right out of the box, with minimal break in period. Kangaroo leather upper provides durability, a snug fit and lightweight feel. EVA insole and synthetic lining offer long lasting comfort and additional cushioning. Direct-injected firm ground outsole ensures superior grip and speed to outperform the competition. Durable FG outsole for firm natural grounds. The shoe withstands all-weather conditions. It takes very little time to break in. Kangaroo leather upper and EVA insole and synthetic lining ensure maximum comfort for long time. Some users are not happy with the durability of the cleats. 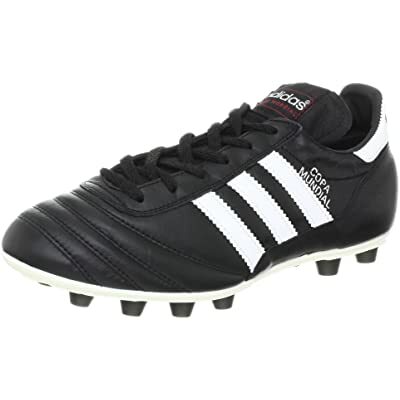 The Adidas Copa Mundial Cleats is an absolute classic to the soccer world. Things have changed since 1979 but this soccer cleats from Adidas almost unchanged. That’s very interesting, inspiring and ever evolving. A remarkable, high performance, Copa Mundial Cleats will raise your play to a new level. So get an Adidas Copa Mundial cleats and be a proud member of the Adidas family buying the revolutionary product. The Diadora Maracana RTX 12 is a compulsory soccer cleats that every athlete has to get. Specially manufactured for the finest performance on the field, they have a basic design that feels comfortable both on the feet as on the ground. These shoes come in simple color ways from the Black/Fluo Yellow to Yellow/Fluo Silver. Diadora has a reputation of creating durable, comfortable yet stylish products. Most world class athletes use Diadora in various games like soccer and tennis. Being an Italian manufacturer, they use the unique Italian skill to come up with a high quality good performance product for running, tradition and lifestyle, fit for the best of the best World Cup Champion team. Why buy Diadora Maracana RXT 12? These soccer shoes offer top comfort on the foot due to their wide design that leaves additional space for the foot. You can easily move around with the shoes without worrying about injuring your ankles or your feet. They are easy to break in and offer support to the heel. They are light with a kangaroo leather upper part and elastic underfoot band that holds the tongue that covers the lace in place withholding its movement which is as cozy as it gets. Additionally, their sole plate is elastic adding to the pure comfort of the whole package. Made from the finest Italian heritage, Diadora soccer shoes are known for their resilience thanks to their strong make and high quality. Users have been known to use their shoes for year before wear and tear. They are anti-stretch and watertight thanks to the leather upper. Designed using solid material, Diadora come with lustrous curving lines that give the sport shoes a smooth finish. The various range of colors especially the popular Black/Fluo yellow mostly preferred by most customers contributing to the panache. Combining all the features illustrated above, the result is a responsive shoe that brings about effective execution. There is touch control in the frontal part of the shoe that is almost clammy contributing to the effectual strike zone. The traction is good with excellent ability to feel the ball yet protecting the foot from feeling the full impact of the ball. The treads also offer a great grip on both hard and soft ground and do not slide around like the typical shoe. The Diadora Maracana RTX 12 soccer shoes are a brilliant revolutionized product with features every athlete wants in shoes; comfort, durability, performance oriented and stylish. These boots are some of the simplest, light-weight yet traditional sport shoes you will ever get. What’s more, they are quite affordable and come in at a less than a hundred dollars. Talk about getting value for your money. They can work on every soccer player no matter the position, whether you are a top contending athlete or a first-time player, these shoes vastly boost your performance. Certainly soccer is the most popular sport on the globe, yet very little research has been published regarding soccer biomechanics especially on the significance of footwear for the sport. When it comes to soccer shoes, comfort is usually the highest priority for players followed by stability and traction. Cleat arrangement and design are essential shoe features that facilitate quick accelerations and stops, turns and rapid cuts. The design of a soccer shoe can influence kicking accuracy, shooting speed and certainly the game of soccer. The new Nike TIEMPO LEGEND V FG cleats have managed to overcome the challenge of offing better performance and injury prevention to soccer players. These cleats use hyper shield technology to block moisture and ensure the fit stay snug longer. They are made of ultra-soft kangaroo leather, which adapts to the shape of any foot to ensure a perfect fit, providing exceptional comfort and support. Ordinary soccer cleats are notoriously narrow and tight. Combine this with a flexible, unsupportive upper and you have ankle and foot injuries. 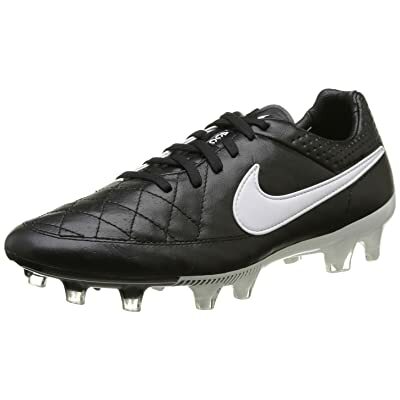 However, these Nike cleats match with any foot depth, width and length to fit properly. A wider shoe waist supports the mid-foot correctly and prevents excessive pronation. The Nike cleats combine the All Conditions Control technology with Kanga-Lite and premium kangaroo leather to create a soft, water-resistant upper that allows for the optimal ball touch in all weather conditions. With normal soccer cleats, shooting the ball you are on top of is very difficult since you lose accuracy and power. The task becomes much harder if the ball is in an awkward position. How well you touch the ball depends on the surface area and condition of your shoe’s surface. No amount of practicing can help you if you do not have the right shoes that offer maximum ball touch. These Nike soccer cleats have engineered plates specifically designed to move with your feet for transitional comfort and flexibility. A combination of direct-inject blades and cone-shaped cleats maximize traction and surface penetration while diffusing cleat pressure. These shoes are perfect for professional soccer players because they are versatile for most types of fields and many weather conditions. Their design allows players to play on all surfaces while keeping their footing, making quick turns, and possessing the ball with ease. The shoes also enhance stability as well as lateral movements. Firm-ground (FG): This allows them to be very effective on turfs with short grass that are slightly wet but hardly muddy. Full-length TPU plate: It adds extra stability on the field, and ensures durability of the cleats despite the harsh treatment. Internal heel TPU counter: This helps with lockdown, and protects a player from impact, to prevent injuries. Molded EVA sock liner: Offers excellent arch support, and shields the player from impact to avoid small injuries. Excelling at soccer begins with what is on your feet. Whether you need soccer cleats for men and women, you must consider various factors very carefully. You must consider what kind of control and traction you gain as well as the comfort of the shoes. You need to view your cleats as an extension of you when you are on the playing field. You must balance between style, colors, personality and comfort to find the shoes you want. No doubt, the Nike TIEMPO LEGEND V FG meets all your soccer shoes requirements, with a perfect fit, optimal ball touch and maximum traction, all at a very affordable price. If you dream to be a soccer player like Lionel Messi or Cristiano Ronaldo, you need soccer boots that accelerates your speed to the next level while you are in the field. Moreover players with great speed with accuracy in ball control are in great demand. If you want your dream come true, you need a pair of soccer cleats that will not only accelerate your speed but also help you to control the ball with ease. The Puma Evospeed 3 FG Soccer Cleat came out in the market with three concepts in mind: -> Light weight -> Flexibility ->Fit. Upper portion is made up of lightweight microfiber synthetic that makes the cleat light and provides glove like fit and the perfect touch on the ball in the game. 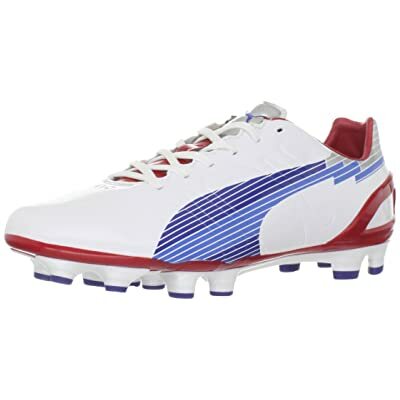 The rear foot is safely embedded in a minimalistic lightweight external heel counter for additional support and stability which is unique specialty of this Puma Evospeed 3 FG. When you run at high speed with a lightest soccer shoes, outsole structure is very important for balance of stability and traction. Outsole made with the lightweight one-piece outsole, which offers plenty of flexibility from the very first time you wear it. It’s conical and bladed stud configuration of outsole will give you a great balance of stability and traction, without taking away any natural level of movement. So now you will not be overpowered by your speed and will be more controlled and be unstoppable. This evospeed 3 FG is one of the lightest boots in the market helps amateurs and pros to take their game to the next level with ultimate speed. The speedCELL technology engineered to enhance natural speed. Microfiber synthetic upper keeps the cleats lightweight and comfortable. Simultaneously it provides glove-like fit for perfect touch on the ball with balanced speed and acceleration. Cushioned EVA insole ensures maximum comfort. Lightweight TPU injected outsole reduces weight of the boot. Conical and bladed stud configuration of outsole give ultimate acceleration and traction. The perforated tongue ensures secure fit and added breath-ability. Most importantly microfiber TPU injected outsole with conical and bladed mixed-stud configuration suitable for use on firm, natural surfaces. There is a question about its longevity. Truth be told if you focus on speed, you have to forgo longevity. However if you use your pair with due care, it will last longer than expected. 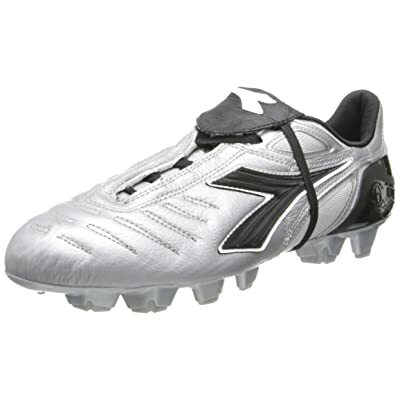 Nevertheless if you compare overall features with the price, then the cleats is definitely durable enough. Every soccer player wants to be fast in the field. In this connection every soccer athlete needs the best soccer cleats that will accelerate speed with proper ball control in the field. Puma Evospeed 3 FG are the lightest boots in the market that comes at a smart price and perfect speedy cleat for the players who want to improve their game without paying the higher price. It suits both ambitious pro and amateur players and designed to take their speed to new level. Indoor Soccer Cleats is must when we want to play indoor soccer matches. Because indoor soccer is different game from traditional soccer and it needs its own style of shoe. 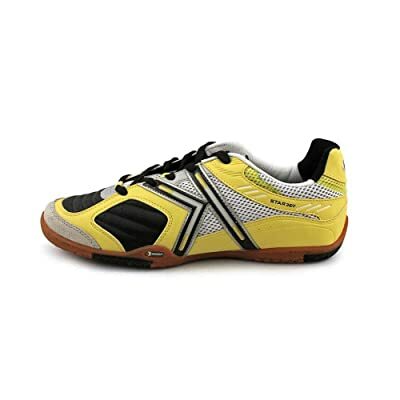 If you think about Indoor Soccer Cleats, Kelme Soccer Cleats is great option for you. Yes it doesn’t have the name recognition of companies like Puma and Adidas, but it is more than just brand recognition and makes up for it in solidly durable design and reliability and of course it’s very cost effective. Kelme Michelin Star360 Indoor Soccer Shoes is compact, sleek design will give you good impression on the field. The high quality sole rubber gives you durability as Michelin involve to make it. Upper of Kelme Michelin Star360 combines with materials, full-grain leather, synthetic leather, suede and mesh, which gives you comfort, breathability and durable ball control. The Kelme Michelin Star360 added touch elements in the instep, side and heel which will help you control the ball perfectly. A solid amount of cushion provides on every hard surface of the sole. Cushioned EVA insole gives you total comfort. The rubber that is use for making its sole is of the best quality in the market. Michelin has been developed incredibly durable rubber design for Star360, that has a specific traction pattern for grip in every direction. It will provide greater flexibility and improves comfort. You will see a pattern on the bottom of the sole that repeats itself throughout the entire sole. There are many grip point which will prevent you to slip. The leather of Kelme Soccer Cleats is very thin, soft and very lightly padded, so touches on the ball feel very precise and controlled. Your feet can breathe more than regular indoor soccer shoes for it Michelin’s canvas construction, and we everyone knows it very important for circulation and performance. Kelme shoes run a little larger than the standard measurements. But you can easily avoid this problem, if you go half size down when ordering these shoes. These Indoor Soccer Cleats are really nice, very original and well designed. Although this Kelme Soccer Cleats was not designed to be used as a street soccer shoe, but I am quite confident it can handle harsh conditions also. So if you are searching for a brand new pair of premium futsal soccer shoes, the Kelme Michelin Star360 is a wise option. It will give you dependable performance at a reasonable price.